Australian Simon Gerrans won the overall classification of the 2012 Tour Down Under on Sunday in Adelaide, Australia, with Andre Greipel taking the final stage. Gerrans’ overall win marked GreenEdge’s first stage race victory in the season’s first WorldTour outing. The Australian Champion won ahead of Spain’s Alejandro Valverde (Movistar). The two are on equal time in the classification, but Gerrans won thanks to better placings throughout the week. The team’s manager, Shayne Bannan announced his intentions to start Australia’s first WorldTour level team one year ago at the Tour Down Under. The team signed many of the country’s top talents, including Matt Goss, Stuart O’Grady and Gerrans. 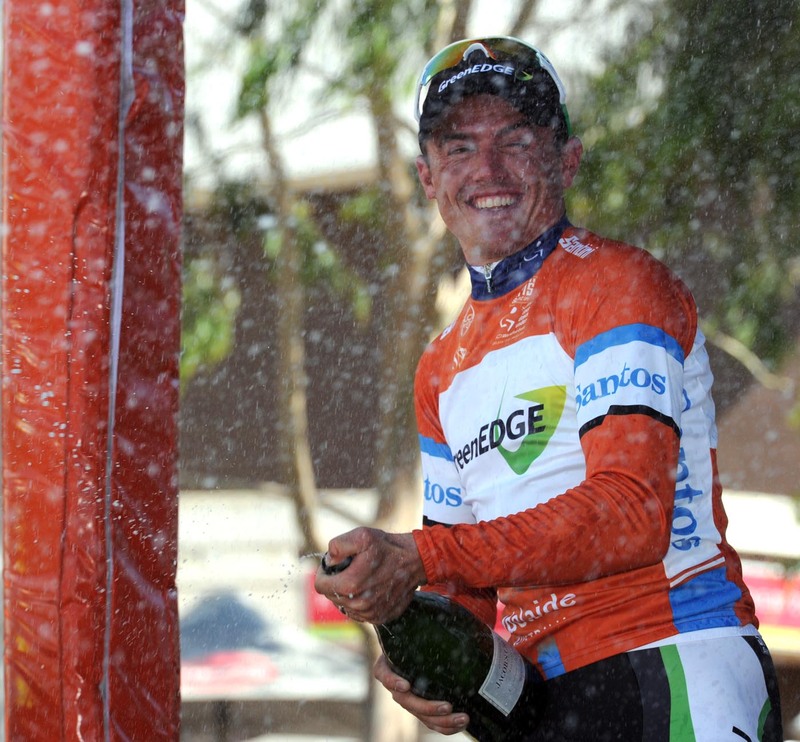 Gerrans targeted the Tour Down Under after winning the national championships. His was only able to clinch his overall victory after the final sprint today. 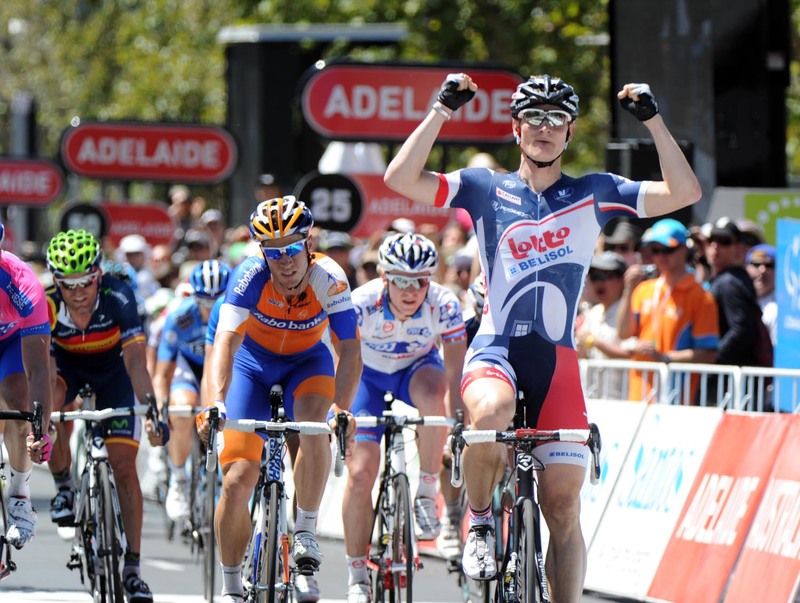 André Greipel won the sprint over Mark Renshaw (Rabobank) and Alessandro Petacchi (Lampre-ISD). He won three of the six stages and now has 11 Tour Down Under wins. He is second only to Robbie McEwen, who has 12. Marcel Sieberg and then Greg Henderson led to the line for Greipel. He won by two bike lengths. 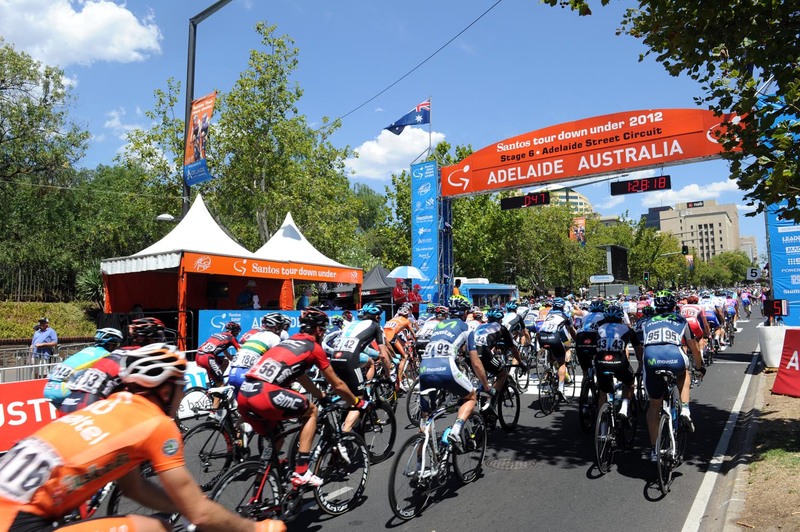 The sprint ended the 20 laps of 4.5 kilometres each, or 90 kilometres, around Adelaide’s north side. The skies were clear, but the temperatures, 36°C, made the final stage that much harder for the 130 cyclists. Several cyclists tried to ride free in escapes and gain bonus seconds at the two intermediate sprints. GreenEdge covered the moves with their men: Luke Durbridge for the first sprint and Cameron Meyer, last year’s winner, in the second. Jan Bakelants (RadioShack-Nissan) attack in the 12th lap ahead of the second sprint. Meyer and Romain Sicard (Euskaltel-Euskadi) joined his move. They gained up to 50 seconds, which put Bakelants in the virtual leader’s jersey. Meyer stopped helping and their advantage dropped. He then attacked solo ahead of the final lap. Meyer was unable to hold off Lotto’s and Lampre’s charge. Sky’s Chris Sutton made the final attempt to prevent a Greipel-win by anticipating the sprint. Gerrans previously won the race in 2006 and remains the only Australian to win stages in all three Grand Tours. 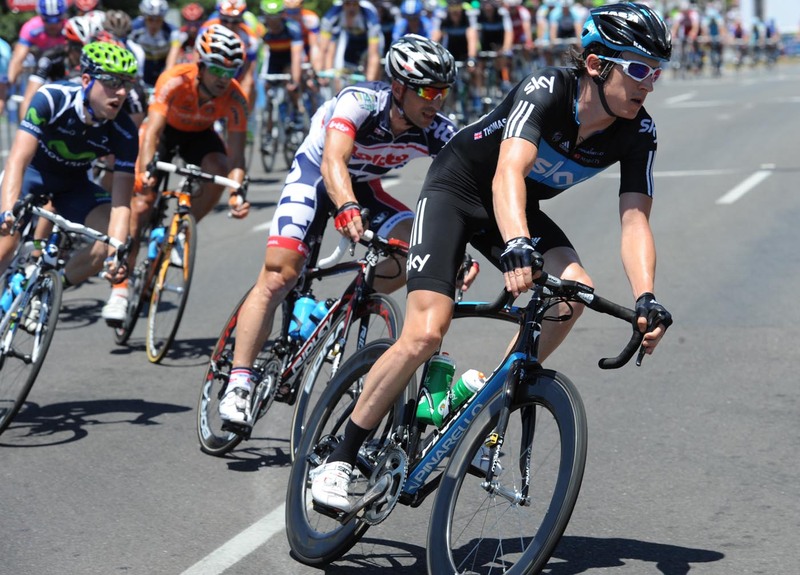 He took the lead yesterday when he finished second to Valverde on Willunga Hill. Rohan Dennis (UniSA) finished in fifth, but won the young riders’ classification. He also won the mountain classification. Sky’s Edvald Boasson Hagen won the sprints competition.